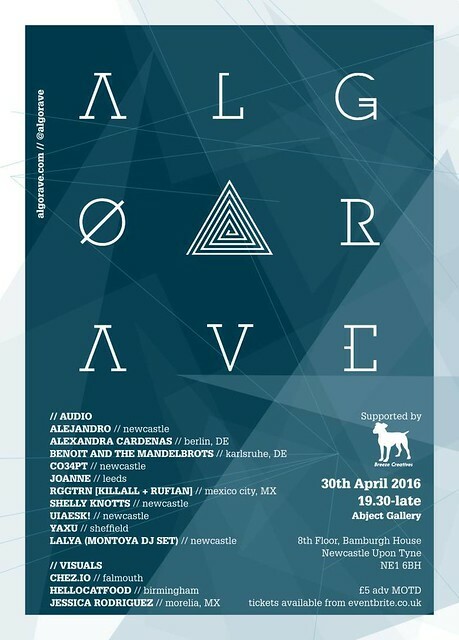 A day after the previously announced Algorave in Leeds I’ll be heading furtherer up North on 30th April to do an Algorave in Newcastle. The lineup is rather similar and features the likes of Benoit and the Mandelbrots, Joanne, UIAESK!, and yaxu together with visuals from myself and chez.io. Tickets are only £6.47!